A trip to Armenia may very well feel like a journey back in time, yielding the treasures of an ancient land that became the first Christianized country in distant 301 CE. Landlocked and mountainous, Armenia features a varied scenery that quickly shifts from extremely dry landscapes to dense forests carpeting steep foothills of the Lesser Caucasus. Perhaps the highlight of a vacation in Armenia, the magnificent mountains are ideal for hiking and any other outdoor activity you can think of. 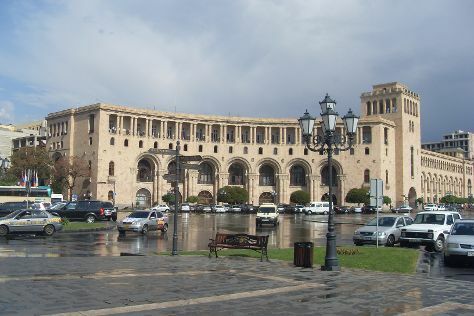 National capital Yerevan remains one of the world's least explored ancient cities; spend some time here to discover the bulk of Armenia's museums and other cultural venues narrating the rich story of an often-troubled region straddling two continents. Armenia is in Asia. Plan your trip to Armenia and other Armenia destinations using our handy Armenia trip planner.